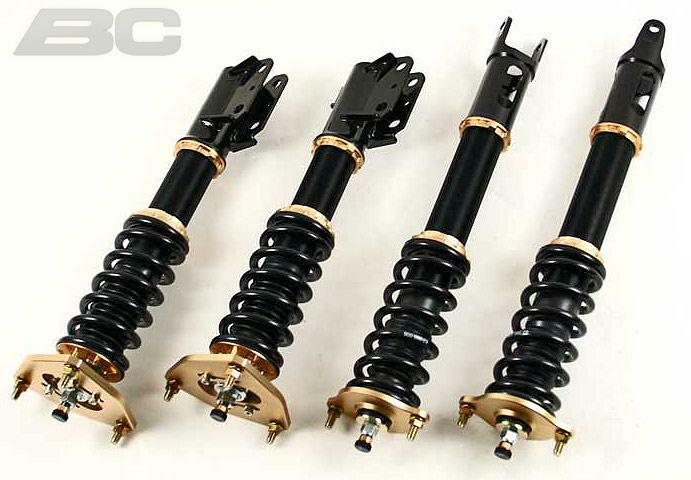 The BC Racing BR series coilovers at jmautosports.com are the perfect choice for street driving with a dash of weekend warrior track action with your car. 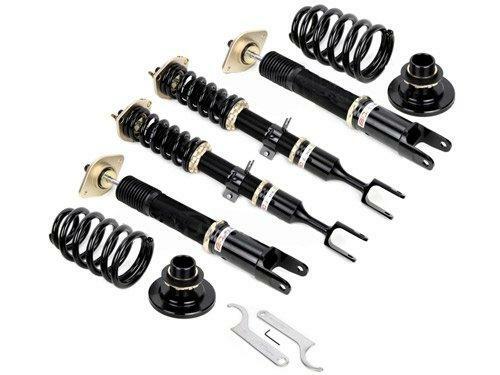 These coilovers feature easily accessible adjustment knobs for dampening and separately adjustable ride height settings. 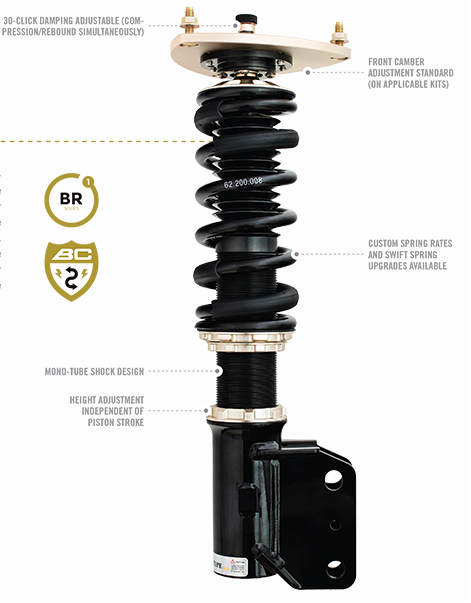 The BR series makes adjusting and maintaining your performance coilover system easier than ever. Ride height is independently user adjustable so you can dial in the exact look to reflect your driving style and performance needs. BC’s patented concave lower locking ring keeps all adjustments locked in and ready for precise predicable performance in any scenario. 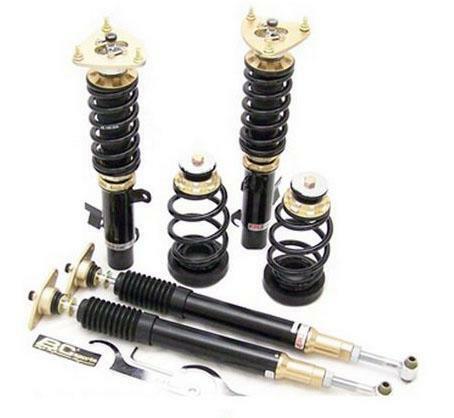 BR series coilovers are a strong, complete and attractive coilover system at a great price. BC Racing ensures that only high quality oil is used so that damping rates are maintained not only for the moment in hand (i.e. whilst out for a back road blast on or track) but that long term longevity is maximised with oil that doesn't degrade quickly over time thus extending the dampers operating life significantly. Because the spring twists as it compresses it is very important to minimise stiction between the spring and its seats. If this tension is not relieved then spring binding can occur leading to the spring rate effectively altering slightly as the spring compresses and extends. The tension generated can lead to rapid deterioration of the spring pearches and in extreme cases can cause the spring platform and locking collars to loosen. This can lead to the platform and locking collars "walking" down the damper resulting in un even ride height and danger of the spring dislocating under full damper extension. BC Racing has the best warranty in the industry. Your purchase is completely protected from any defects including blown shocks within the first year. If something should happen after that, we stock all replacement parts at incredibly low prices (Cheaper than rebuilding), that will be available to you in a few days rather than weeks.Our goal is to get your car up and running as quickly as possible.